It’s never too early to start a bright future for you and your family! Our program provides comprehensive prenatal and post-birth education; parenting preparation; education and support for infants and toddlers; preparation for preschool; and so much more. Encourage healthy parent and baby relationships! 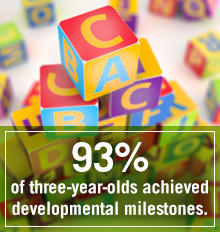 Please visit www.headstartlv.org for additional information and to see if your family qualifies for Early Head Start.